"When all that madness has happened there's a method to it, to making sure you get them before they get you." Joshua Buatsi has embraced his new-found role as a ruthless puncher - and welcomed Liam Conroy to share a first round 'shootout' in their British title fight. The Olympic bronze medallist is adding spite to his slick skills, demolishing his last three opponents inside the opening round, and will next clash with Conroy for the vacant British belt on March 23, live on Sky Sports. Since turning professional, Buatsi has adopted a more clinical approach, recognising that every opponent could derail his unbeaten career. 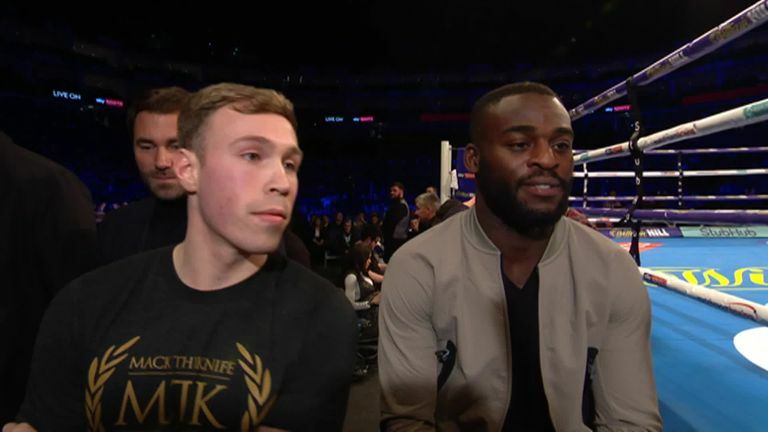 "If he comes and wants to have a shootout in the first round, then I'm always open for that, and will have one," Buatsi told Sky Sports. "I'm not going to sit down and tell you 'I knew I was going to stop him in the first round,' because I didn't. "When all that madness has happened there's a method to it, to making sure you get them before they get you. The unbeaten contender blasted aside Tony Averlant. "That's that last thing I say to myself before I meet in the middle. I say 'Josh, get him before he gets you, because it's you or them.'" 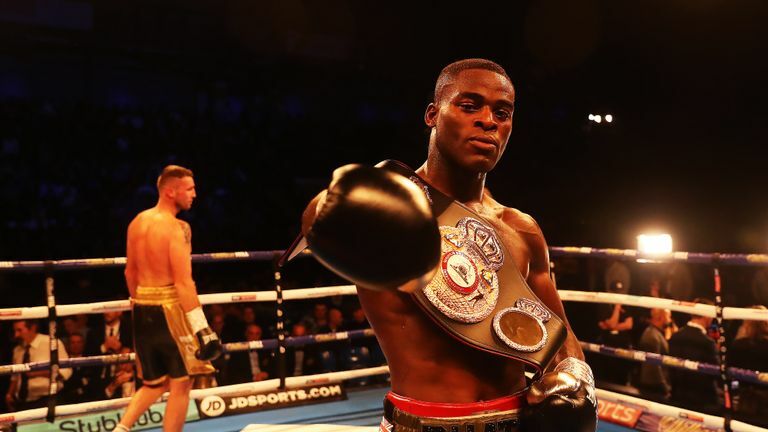 Buatsi was originally ordered to challenge Callum Johnson for the British title, although the bout did not materialise, with the champion relinquishing his belt for a fight against Sean Monaghan in New York. The Londoner understands Johnson's decision to pursue his world title ambitions, but has shrugged off suggestions from Johnson's trainer Joe Gallagher that he was not ready for that domestic clash. "I'm thinking in my head 'he hasn't'. Why would you fight at British level, if you know that if you win your next fight you may get a world title opportunity? It's a no-brainer. Why would you do it? "His coach feels it's too early for me, and I could just say 'He's not my coach, so it's his opinion.' Everyone can have an opinion. That's what he thinks and that's how he sees it, so there's not much I can really say about it." This is what’s next. The British Title. After nine straight victories, Buatsi is eager to fulfil one of his early ambitions by claiming the Lonsdale title, which was formerly held by the likes of Tony Bellew and Nathan Cleverly. "It will be a trend, or following in the steps of people that have gone on to accomplish big things. It's something that will be good to have ticked off."